Juventus vs Frosinone predictions ahead of this Serie A clash on Friday night. Will the champions claim another three points at home? Read on for our match preview and free betting tips. The Juventus crisis lasted about a week, as the club moved comfortably back on course last weekend. They hammered Sassuolo 3-0 last time out, which saw them move 11 points clear once again in Serie A. They have 20 victories from 23 in an unbeaten league campaign, so it was hardly much of a crisis to begin with. However, after conceding six goals in two games, a clean sheet last weekend has put them back on track. Will Friday’s clash with struggling Frosinone bring more of the same for the champions? Juventus are about to put their Champions League chase back on centre-stage, with a clash with Atletico Madrid coming up on Wednesday. The Italian giants are among the main contenders to lift the European Cup, as third favourites in the betting. That’s going to be their main goal now, with another league title basically assured. It would take a huge collapse to lose top spot from here, and this side are too talented and too experienced to allow that to happen. Another three points seems likely on Friday, given how heavily backed the champions are to claim a victory. Frosinone come into this game as rank underdogs, as they sit second from bottom in the Serie A standings. The visitors were able to claim a shock 1-0 win at Sampdoria last time out, but stopping the champions is going to be a much tougher task. The away side have picked up just 16 points all season, and they come into their toughest game of the season having lost 13 more Serie A games this term than the unbeaten home side. The good thing going for Frosinone is that Juve’s focus is likely to be elsewhere, so they aren’t going to be interested in putting five or six past this struggling side on Friday night. Juventus aren’t really that kind of side, despite adding Cristiano Ronaldo to their attacking line-up. Even armed with the Portuguese, Juve are yet to score more than three times in a game in Serie A, with 78% of their league matches this term seeing fewer than four goals scored in total. A rout isn’t exactly likely. There’s even less backing for a thumping home win here when you look at the head to head record. The last five clashes between these two have never seen more than two goals scored. 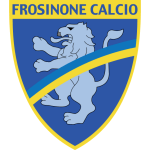 Frosinone come here with a poor scoring record in general – they’ve hit just 17 goals in 23 matches. In nine encounters with the top seven, they’ve failed to score in every match. That includes five defeats to nil in the five away trips to sides in the European spots. We see this game finishing up with a low maintenance victory for the home side, so Juve and Under 3.5 Goals is our betting tip. Juventus have won 20 of 23 Serie A games this season: only themselves in 2005-06 and Inter in 2006-07 have won as many at this stage. Juventus drew their last league home game 3-3 vs Parma: the last time they failed to win two home matches in a row was back in September 2015 (three games). Frosinone have won the only two matches in which they have found the net over their last six Serie A games (4-0 vs Bologna and 1-0 vs Sampdoria). Frosinone have won consecutive away games in Serie A for the very first time: they have never gone unbeaten in three top-flight away matches in a row. Juventus have scored more goals from set-piece situations than any other Serie A side this season (16); 10 of them have been scored by Ronaldo (the most of any player). Before Ronaldo, the last Juventus player to have scored 18 goals in the first 23 Serie A match-days was David Trezeguet in 2005-06. Ronaldo has already scored more goals in a single Serie A season than any previous Portuguese player. Camillo Ciano has scored three of Frosinone’s last six Serie A goals: he has scored five of his six league goals this season away from home.